Selene is a GTK3/Vala media converter tool developed by Tony George (who's also behind Conky Manager), which "aims to provide a simple GUI for converting files to popular formats along with powerful command-line options for automated/unattended encoding". Besides supporting most popular audio/video formats, Selene supports 2 types of presets: JSON presets (which determine the audio/video format, codecs, bitrate, quality and so on) as well as Bash script presets which can be used for converting files using any command line utility, useful for integrating tools that aren't directly supported by Selene, as well as for automated / unattended encoding. 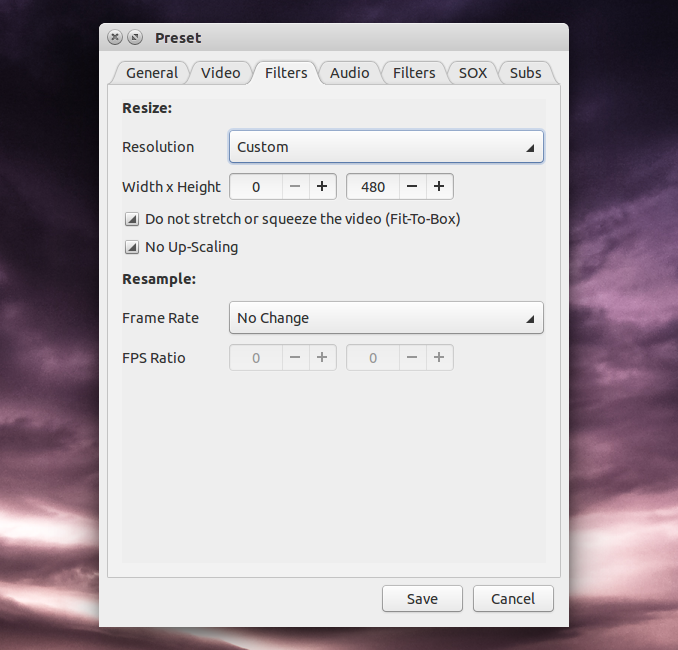 It's also important to note that Selene can also crop / resize / resample videos or embed subtitles. The application is under constant development, with the latest version (2.4) being released about 10 days ago with SOX Audio Processing support, an option to check for missing encoders (see screenshot below) and bug fixes. 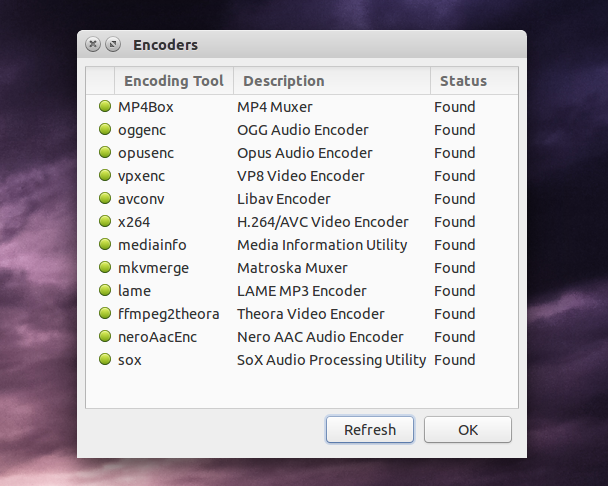 Option to check for missing encoders. Update January 26th, 2015: Selene has received VP9 and H.265/HEVC encoding support. Note that You need to have ffmpeg/avconv compiled with VP8/VP9 support to be able to use the new VP9 encoder (Ubuntu 14.04 and above should have this enabled by default). 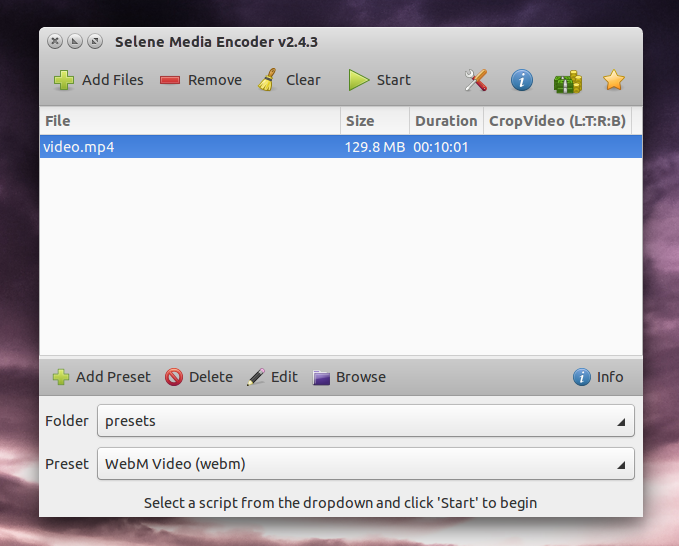 If you don't want to add the PPA or you're using Debian, etc., grab the Selene Media Encoder deb from HERE. Arch Linux users can install Selene via AUR. Other Linux distributions: grab the Selene source code via Launchpad (BZR). For more information, usage, how to use bash scripts for encoding and more, see Selene's homepage.